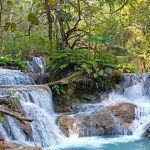 For those who have a passion for the adventure tours, and want to explore the beautiful land of Laos on the winding small lane road. 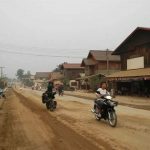 What’s more interesting when sitting on a motorbike roam the dusty road to discover the amazing natural scenery, the majestic waterfalls, the villages deep in the forest or the famous sites along northern Laos. All of these things we made for you during the 14-day tour. 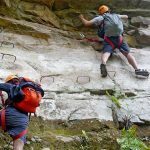 Come with us and explore together! 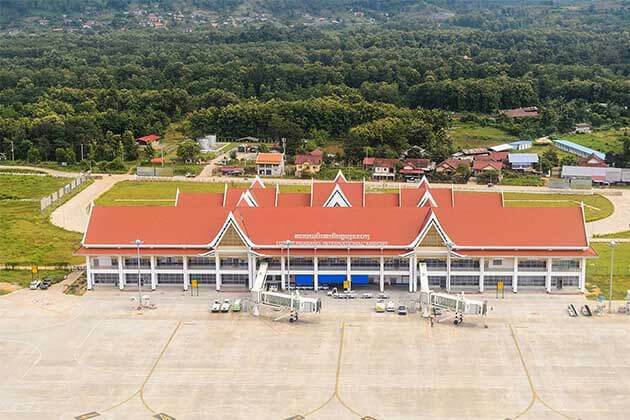 Welcome you in Laos, the majestic land in southeast Asia. 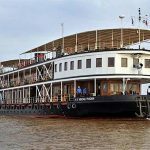 As soon as you come to Laos, our driver and tour guide will pick you up and transfer to your hotel to check in. Arrange everything, and take a rest before starting a long trip in Laos. 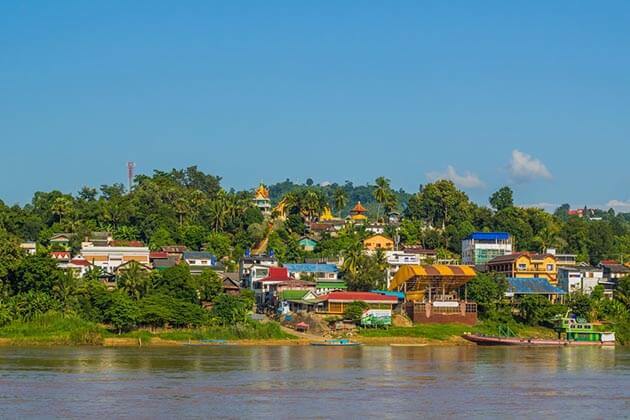 Today is a free day for you to explore the capital of Laos. Ađ more energy buy Laos special food in the morning. 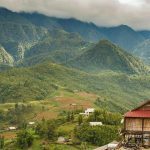 Start your day by moving to Paklai district in Xayabouly Province by motorbike. The road sometimes is dirt, sometimes paved. All the things you can do is conquer it and go to the last point of the journey. 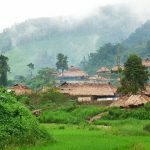 Along to the road, you can pass through bamboo groves, the hill tribe villages, or pass across long scenic stretches of Thai / Laos border. At lunch, stop at the local restaurant in Sanakham, before climbing through steep mountains to a crossing over the Mekong River. as long as you arrive in Paklai, rest up at the small, simple guesthouse. Wake up early and have breakfast before continuing your trip in a long way. 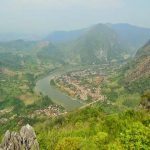 Your trips will pass some the villages in Sayaboury, more understand about the local life, enjoy the amazing view in northern Laos. Stop for lunch at the local restaurant in Ban Thongmixay. 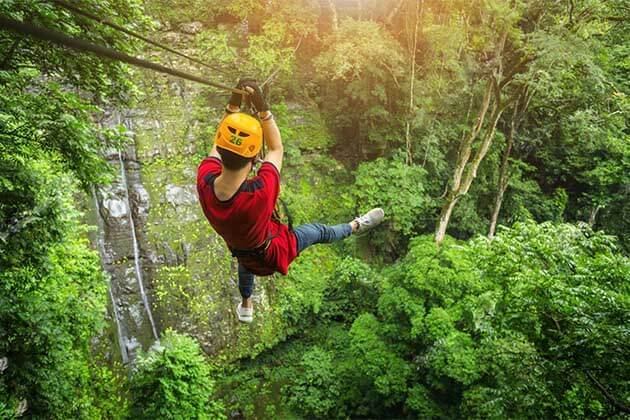 Have a rest and then take you through Nam Phouy National Protect Area, which nestles into the forested mountains of the Luang Prabang Range and known for its ubiquity of wildlife. After a long road, you are in Sayaboury town. Enjoy your time to explore the town at night. Today’s ride will be longer and have a little challenge. 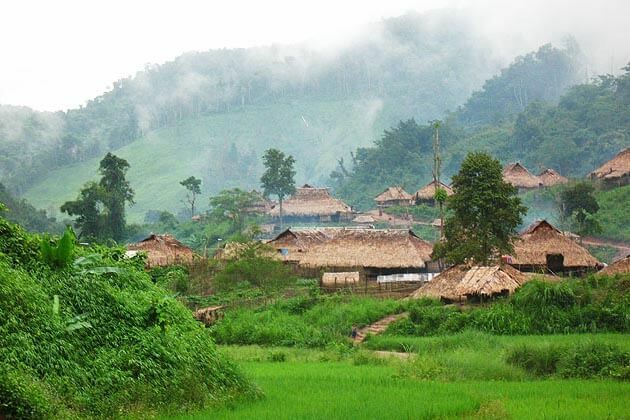 Once again, pass the dirt road and meander through Hmong and Khmu villages of lowland Laos. 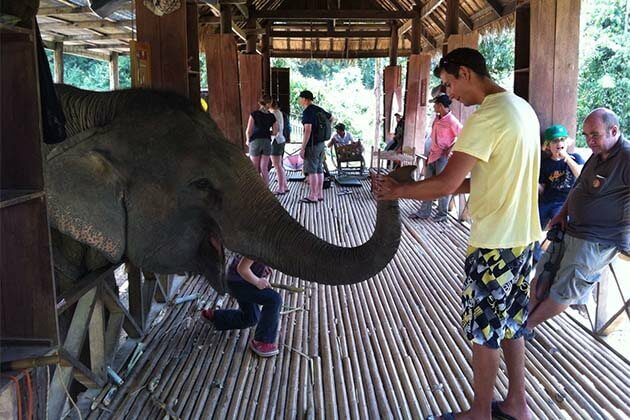 Spend your time to talk with the locals, play with the children and don’t forget to take a lot of photos. 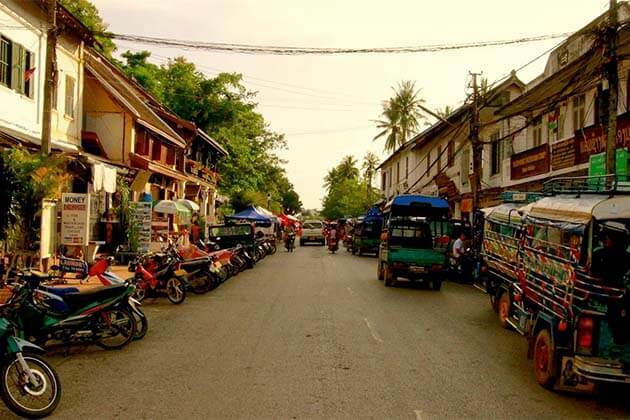 Stop for lunch at Ban Hongsa restaurant, then walk to Ban Khop and explore the village in your own way. Overnight in the local guesthouse and relax. 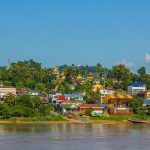 Wake up in the remote area, enjoy you’re the breakfast and then you hop on your bike for a quick ride to Pak Khop, where you have three-hour boat ride will take both you and your bike to Pak Tha where the Namtha and Mekong river meet. 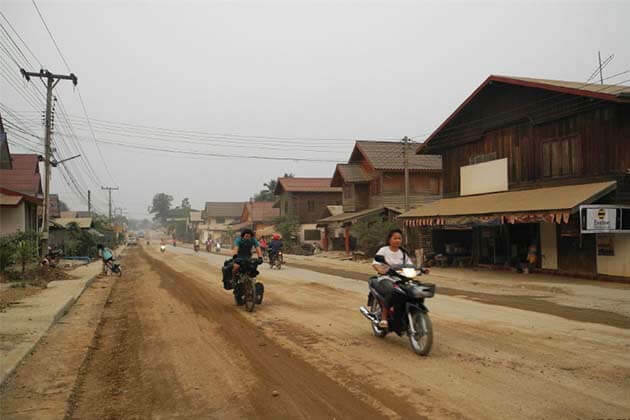 After a nice break, back on the motorbike and ride about 40 minutes to Huay Xai. 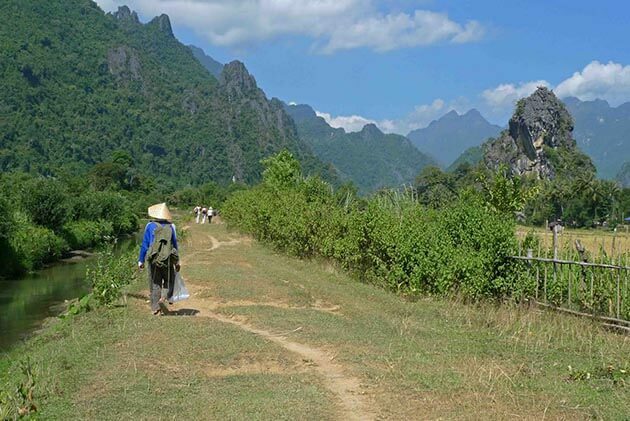 In the afternoon, continue onwards to Vieng Phouka, which you will reach before evening time. 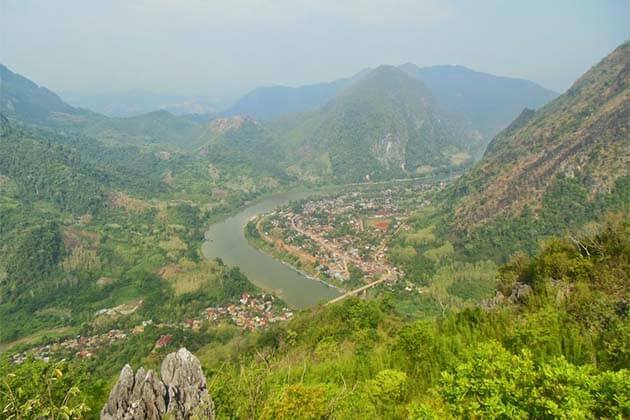 Before heading out to visit nearby villages, check your guesthouse and enjoy the night in Vieng Phouka. 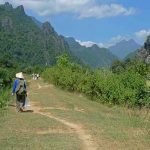 Have breakfast and we move to Nam Ha National Protected Area which is blanketed with mixed deciduous forest – this will be among your destinations today, crossing three streams and climbing to Pou Vieng Moutain’s Peak. 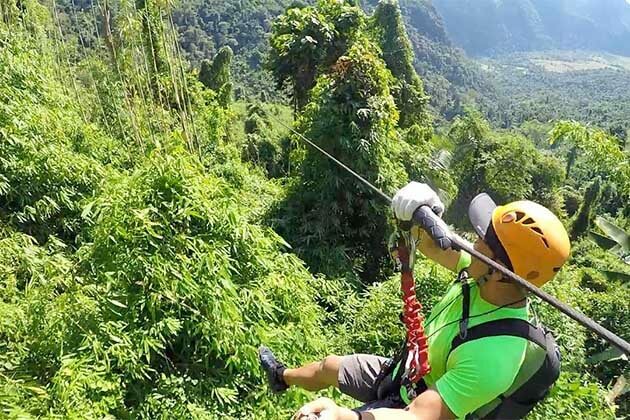 Stop and enjoy the stunning view, you also can enjoy the special lunch near the banks of the Nam Tha River, which you will be crossing afterward. Next, we visit Na Mor village before traveling on to Ban Boun Tai, the last destination today. Today, we will visit the minority villages of Yao, Red Akha, and Khmu ethnic groups, and gain some insight into their age-old traditions and culture. After exploring the ethnic villages, move to the Oudomxay town to enjoy the lunch. 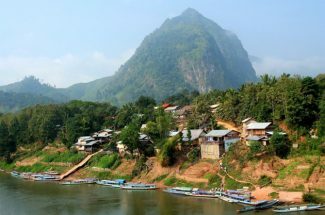 In this afternoon, reach to Nong Khiaw, you may check in to a local guest house and relax tired legs for the evening. 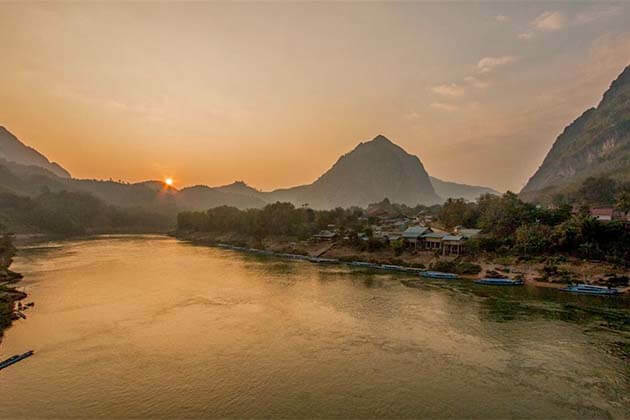 On the second day in Nong Khiaw, wake up early and see the sun rising over the limestone mountains – a peaceful view! Roamed on the road, see the best view mixed with the light wind, which made your day more interesting! Take a leisurely boat on the Nam Ou River, and arrive in Black Tai village where you can learn more about their unique ways of living and spiritual worship and get more information about the local Thai Dam culture and traditions. Back to your guesthouse in Nong Khiaw. Good morning Luang Prabang! 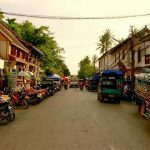 Enjoy your breakfast in the morning and see the lovely sights of Luang Prabang. If you can wake up early, you can join in the alms giving ceremony which you will give the food for the monks, the ceremony has become a part of the Laos culture and the highlight of Luang Prabang. After that, we will visit Wat Xieng Thong, and Wat Visioun, which are two main temples in Laos. 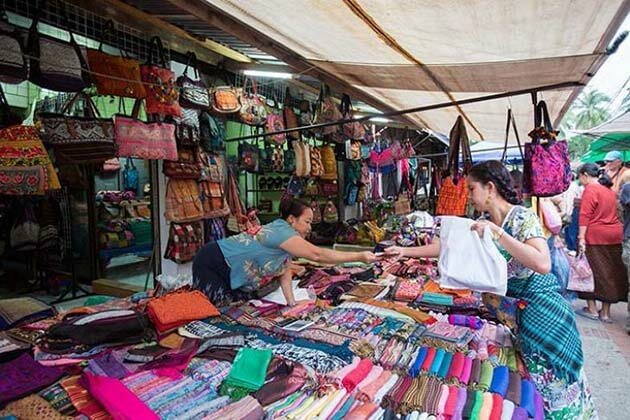 you will be observed the intricate weaving and papermaking processes in Ban Phanom and Ban Xang Khong. 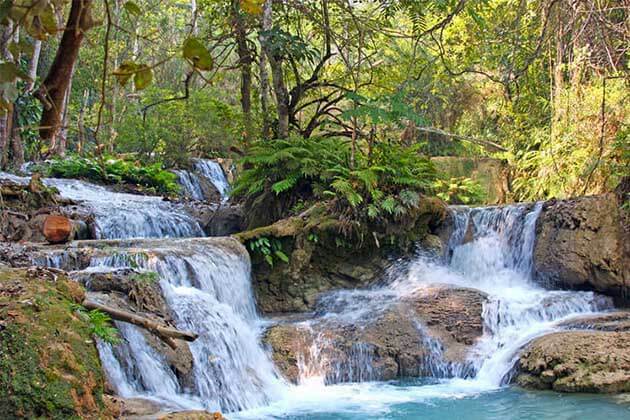 In the afternoon, we visit the stunning Kuang Si waterfall, which is one of Southeast Asia’s most beautiful natural landmarks. 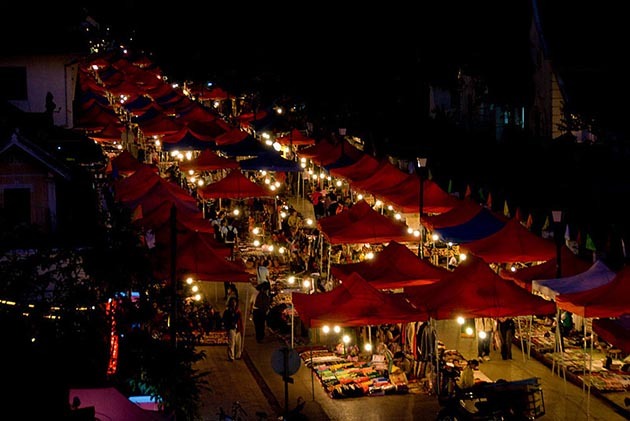 At night, strolling through the town in the evening, and go the most exciting in Luang Prabang, Luang Prabang Night market, which you can find anything of the local handmade such as clothes, crafts, souvenirs, and so on. 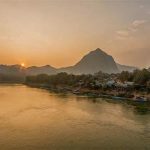 Have breakfast in your hotel in Luang Prabang, take your motorbike and we go to Vang Vieng which is a jaw-droppingly beautiful journey. 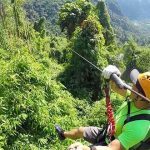 As you know, Vang Vieng is famous for tubing adventures and less known than it ought to be for its picturesque landscape and natural beauty. Besides tubing, you can go kayaking zipping or fly in the balloon to see the amazing view. End of your tired day, back to your local guest house. 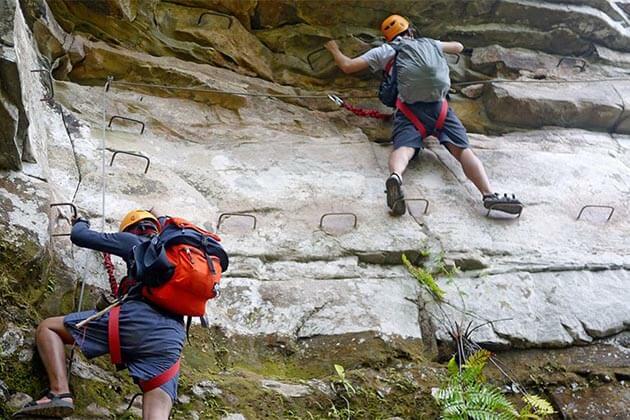 On the second day in Vang Vieng, after having breakfast, we will visit the mystical caves, at here, you have the experience to climb up its rock walls, or cycling around the charming town. After your exciting day, enjoy some leisure time to check out the city’s vibrant nightlife. Overnight in the Vang Vieng’s guesthouse. 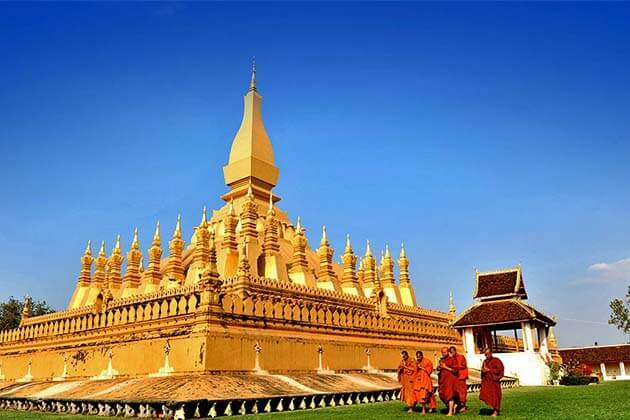 Head back to the heart of Laos, Vientiane where you will embark on a city tour. 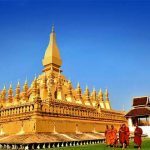 Hit to the major sites such as That Luang Stupa, which holds centuries upon centuries of the secrets, and the Tad Sao Market, where you can find the freshest products of Laos. 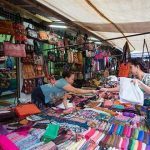 Before ending your trips in Laos, you can buy some products which are made from Laotian as your gift to give your friend or your family. After the last breakfast Laos, it’s time to say goodbye the beautiful country. You will be transferred to the airport for your onward journey.